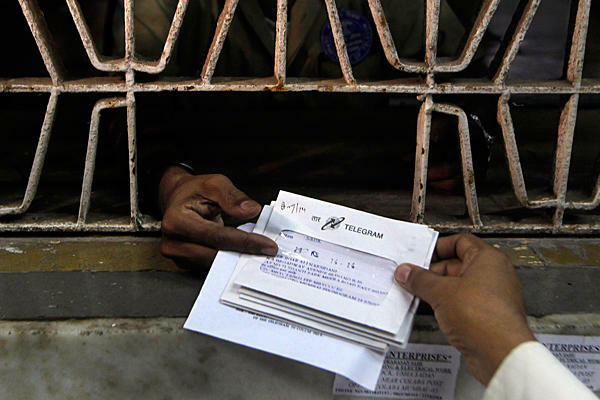 Indian authorities are shutting down the country’s 163-year-old telegram service in mid-July as customers choose more modern communication methods over the long-trusted standard. Although several countries continue with the telegram service, India is the last to use it on a large scale. Manoj Sachthey, 63, read the news that the last telegram will be sent out on July 14th with nostalgia. “Taar” as it is called in India is inextricably linked with key moments of his life: the unexpected death of a young uncle; news that he was admitted to a prestigious masters in business administration program in 1971. He said the arrival of a telegram always raised heartbeats. “Receiving a telegram used to be a very major event in the household….one used to wonder, whether it is carrying good news, bad news,” he stated. For more than 130 years after being launched by India’s former British rulers in 1850, the telegram was the backbone of urgent communication. The terse messages announced momentous events: the death of a family member, the birth of a child, news of a soldier on the warfront. It is believed to have played a role in the country’s history. Transmissions across telegraph wires helped the British suppress a popular revolt against their rule in 1857. Cutting telegraph wires later became a popular form of nationalist protest. The service survived the advent of the landline telephone and email because of low telephone density and very limited access to the internet. But the proliferation of mobile phones through the remotest corner of the country during the last decade finally made it obsolete. At the height of the telegraph service in 1985, 60 million telegrams were punched. That number has shrunk to about 5,000 a day. Plummeting revenues forced India’s state-owned Bharat Sanchar Nigam Limited, which runs the service, to close down the service from mid-July. Shamim Akhtar, the general manager of the telegraph service in New Delhi, said the service is no longer commercially viable with losses adding up to $250 million in the last seven years. “These days there are so many other modes of communication available to us, which are more economical, faster and reliable, and BSNL was incurring loss in the operation of this service. Since 2006 we have incurred a loss of 1500 crores [250 million dollars],” explained Akhtar. As the service shrank, so did the staff. Once numbering more than 12,000 employees, there are now less than 1000. Most of them are men in their fifties, who have spent their entire working lives sending out countless missives of good and bad tidings. But the era of dispatching urgent news is over. During a recent visit to a once-buzzing telegraph office in New Delhi, time appears to hang still. A handful of people sit before computers typing out messages mostly sent by people who want an official record of a communication for legal or other purposes. One is from a city resident to the police commissioner complaining that a police station has failed to record his complaint. Others come from lawyers, families of soldiers or government officials. Subhash Chandra, 54, is dreading the day the last telegram will be dispatched, and he will be sent to another office. When he joined, messages were sent by Morse code. That was replaced by the teleprinter. Later they were transmitted by computer. Until the 1980’s, Chandra dispatched hundreds of messages every day. Chandra said leaving the telegram office will be like leaving his home. He said it will be difficult to adjust in another place after working here for 33 years. He will have to work with new people on a new assignment. Like the telegram, he said, he would prefer to simply retire. But others like general manager Akhtar are preparing to keep pace with the times and the evolution of communication methods. Having watched the rapid advances in technology over the last decade, Akhtar believes that anything is possible in the future. “Day by day communication is taking new shape. One scientist has predicted that in the years to come, every man will have an antenna on his head and each newborn will be given a telephone number, and new exchanges will be set up in space,” Akhtar said. For now, Akhtar said state-owned BSNL has more modest ambitions to expand the mobile phone network and broadband internet services to every corner of India.